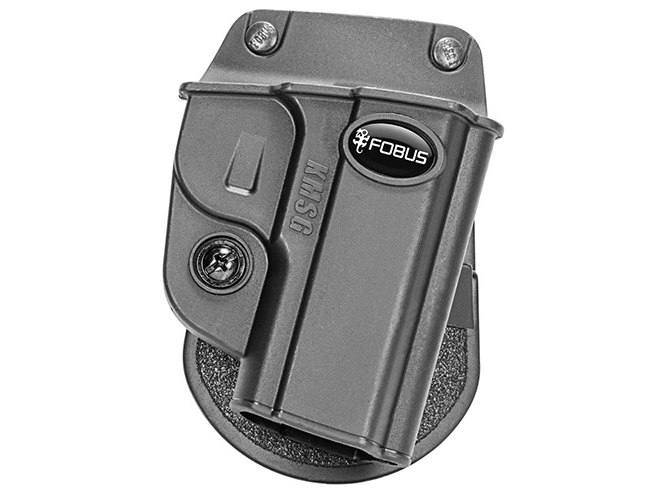 Available in paddle and belt styles, the new Fobus KMSG provides passive retention and an adjustment screw for customized retention. 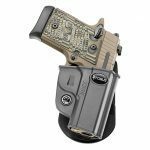 Israel-based holster maker Fobus has added to its extensive product line with the new Fobus KMSG holster designed for the Kimber Micro and Micro 9, as well as the Sig Sauer P938 and P238. 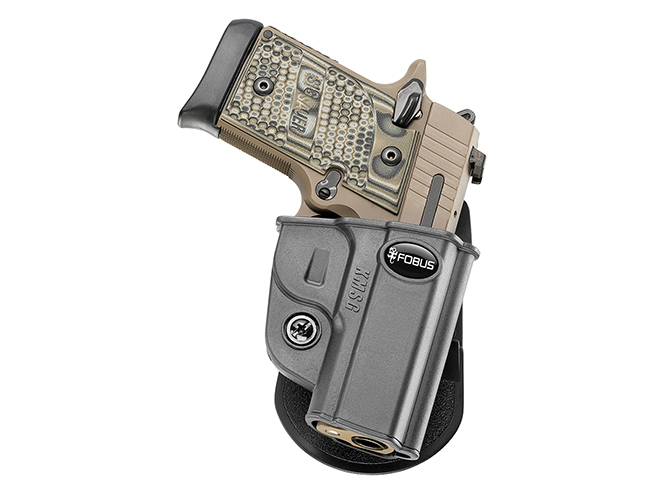 Available in both paddle and belt styles, the injection molded polymer Fobus KMSG holster is part of the company’s Evolution series, offering passive retention and an adjustment screw for customized retention based upon your personal preference. 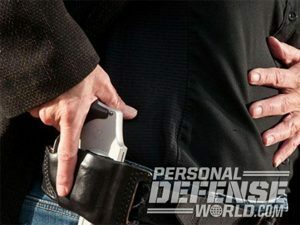 The holster is secured to your attachment of choice via steel reinforced rivets, which also serve to strengthen the holster’s overall integrity, thereby ensuring years of reliable use. Like the rest of Fobus’ products, the Fobus KMSG—touted by the company for its comfortability and durability—comes with a lifetime warranty. 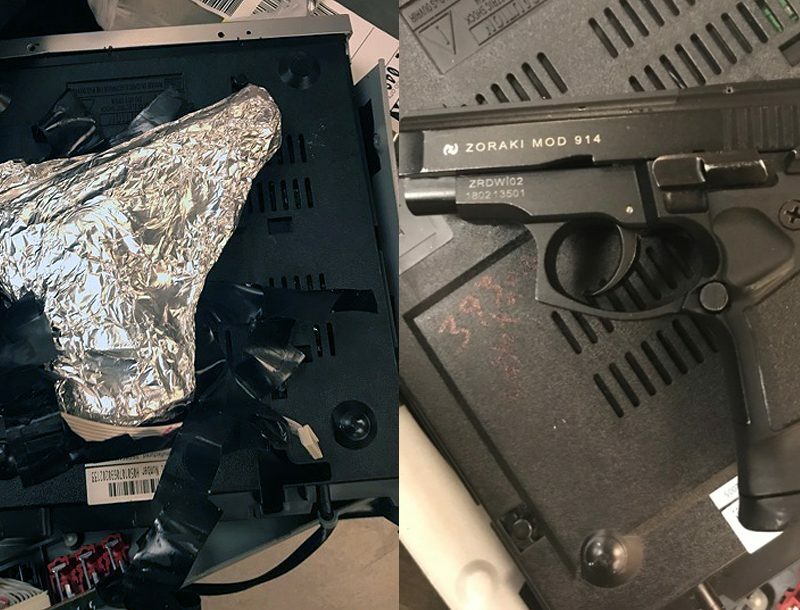 The suggested retail price for this model is $38.99. 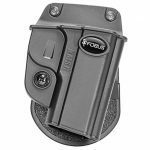 For more information about the Fobus KMSG Evolution holster, and the rest of Fobus’ vast selection of passive and active retention holsters and mag pouches, visit fobus.com.